Waffling: Happy Blogiversary To Me!! Well peeps....today marks one year of blogging!! I never thought I would actually stick with writing this little puppy for so long and I am so excited to finally hit this landmark! When I began blogging, I think I just had these dreams of doing creative things in my condo and sharing them with the world. I wasn't sure what I expected would come of it- no readers? 5 million readers? I really had no idea and no plan. I just typed. And through the months my focus has changed a bit. My blog has moved from a DIY/design blog to more of a design/lifestyle blog since I realized I now have a platform to talk about Alopecia, and life in the city, and other things that people might enjoy. It has really been a great adventure and I have learned a lot. It has been pretty exciting to watch my little corner of the internet grow- from me talking to myself- to random people I have never met commenting! I have even found myself on a couple of blogrolls on other blogs and I just go "Whoa!". The best part about blogging, though? The people. When I first started out in this little blog world, I was excited to have my projects out there and to write pretty posts and such. Never did I expect to be so embraced by this blogging community. Once I joined Twitter it exploded. I have this amazing group of bloggers that I chat with every day and I feel so blessed to have them in my life. We laugh and commiserate so often and I feel like we are real friends, even if I haven't met them in person!! A big question posed to bloggers is "Why Do You Blog?" I blog because it gives me a creative outlet. I blog for so many other reasons I cannot even articulate!! I make no money off this blog. In fact, I am pretty sure it costs me a lot of money because I keep buying things for the condo now :). I am really just here typing away because I enjoy putting content out there every day! I hope to take what I have learned this past year and put it towards improving the blog for another year so hopefully I can meet some more great bloggers and expand my blogging circle! More small space posts- I live in 400 sq ft, unlike most bloggers, and I need to showcase that angle! If you are a blogger, why do you blog? If you are not a blogger, why do you like reading blogs? I am so glad to have had you all share this past year with me and I can't wait to see what next year will bring! Happy Blogiversary! I must admit, I'm slightly jealous of your stats for the past year. I'm coming up to my second blogiversary and I don't have that many posts, pageviews or comments. Oh well. And to answer your other question, I am a blogger and I blog because it gives me something fun to do, something to challenge me to find the good in my life, it's an outlet and reminds me that my life is exciting and worth living even if it isn't going as I had originally planned. I'm so glad I met you Casey! I am glad I met you too Jennie!! I love reading your posts! I blog for a lot of the same reasons you do - because it gives me a creative outlet and is a motivator to get projects done. Since my blog has more of a financial twist to it, blogging also keeps me motivated to pay off my student loan debt and maximize my money. I also blog because my friends read, even if they don't comment often. You are so cute! Happy Blogiversary, Girl! I blog for many of the same reasons as you (even if I have been falling off the blogging wagon with startling regularity lol). 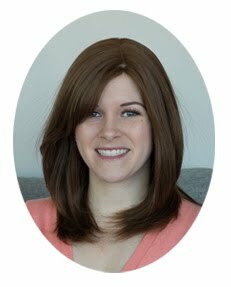 Kudos to you for tackling the hard issues and blogging about something more serious, like small space awareness; something we should all be more aware of, because small spaces affects an ever-growing number of Canadians annually, most of which don't even know where their nearest container store is. bahahaha I laughed at the container store part!! I DO know where mine are!! I blog for many of the same reasons you do (if less frequently). Definitely for a creative outlet, and for the support of our tweeps. I have so much fun with y'all on Twitter, too! yay congrats!!!! you're a rockstar. I Run Like the Wind! A Weekend in the Country and New Sheets! A Little Spring In My Step!